BlackBerry Curve available from AT&T | BlackBerry Blast! The BlackBerry Curve is finally available on AT&T. There was some question whether or not it would actually be out yesterday, but they made it. 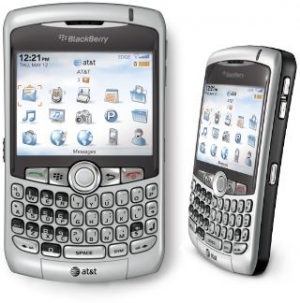 The BlackBerry Curve is the smallest and lightest full QWERTY BlackBerry handset to date. AT&T will be the first wireless carrier in North America to offer the BlackBerry Curve in wireless retail and business channels beginning tomorrow, Thursday, May 31.